Summer has arrived and for the towns and islands of Cape Cod, this means that the islands are full of summer residents, tourists, and of course, their trash. Though the Cape is now a destination for all seasons, the majority of visitors only come when the water gets warm- or at least above 60 degrees! This fragile, 65 mile stretch of pristine beaches (400 miles of shoreline), abundant wildlife, quaint fishing towns and natural beauty attracts throngs of visitors each year and struggles to balance the almost overwhelming inevitability of growth with the foresight and planning to keep it in check. Cape Cod is located on the eastern shore of Massachusetts and has only been an island for about 90 years. That’s right, the federal government financed the construction of the Cape Cod Canal, beginning construction on the project in 1909. Completed in 1916, it separated the Cape from the mainland, which is now accessible by two bridges and also by boat. For many obvious reasons, Cape Cod is one of the most popular tourist destinations in the country. The east-facing Atlantic beaches, designated as a National Seashore in 1961, boasts miles of open, sandy beaches and protected parks and public access areas. And for all of those history buffs, Cape Cod has as rich and interesting a past as any region of the U.S. The Mayflower Pilgrims made land near the current Provincetown in 1620 and formed a self-governing community before making their way to Plymouth Colony on the other side of Cape Cod Bay. To handle the inevitable mountains of trash produced by the migrating summer visitors, as well as the year-rounders, the Cape’s collection of townships relies on a series of transfer stations and recycling centers to collect the refuse and move it off the island. Almost all of the Cape’s waste is collected at town transfer stations and shipped to the SEMASS Resource Recovery Facility (incinerator facility operated by American Refuel Company) in Rochester. The increase in tonnage from the winter months to the peak tourist months in the summer is dramatic. To state it plainly, “it really goes up in the summer”, says Joan Baker with the Town of Wellfleet’s Solid Waste Department. The Wellfleet Solid Waste Transfer Station handles as much as four times the waste in the summer months! The last stop as you exit the Cape by land is the Town of Bourne. Though Bourne does operate a fully permitted MSW landfill (the only one on the Cape), they, like the other Cape towns, are contracted to haul the majority of their waste to the SEMASS facility in Rochester. They also act as the recycling hub for 13 out of 15 of the Cape’s townships. “We receive sorted recyclables from most of the other towns, which we bale and prepare for transfer”, said Dan Barrett, Operations Manager for the Town of Bourne’s Department of Integrated Solid Waste Management (ISWM). 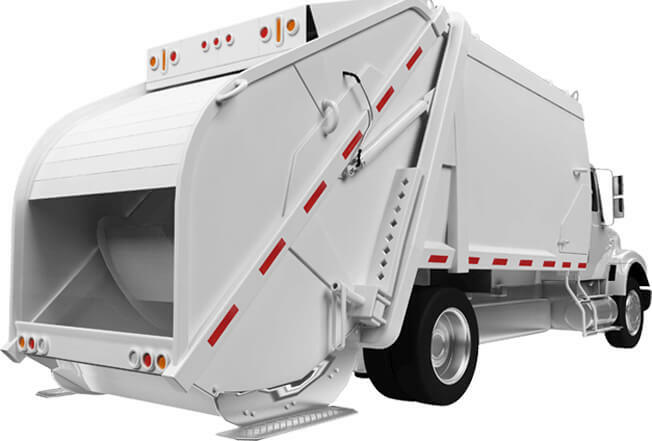 Efficient diversion and community recycling programs are important parts of every solid waste plan, but especially when that plan involves having to transfer all waste long distances to inland facilities. The transfer costs offset by the sale of recycled materials makes good fiscal sense, in addition to the environmental impact of curbing unnecessary waste. Solid waste on the Cape is as seasonal as the visitors, so this leaves months of down time, but not idle hands. Unlike many of the service related industries on the Cape, who rely on temporary help for the summer months or simply shut down altogether, many of the towns’ solid waste departments simply operate at a lesser capacity and find creative ways to keep their employees busy. From construction of new buildings, to roads, to just about anything else that needs to be done, employees keep busy doubling for carpenters and construction crews during the long offseason. Stay on top of the latest waste management software news. Take a moment and subscribe to our newsletter now. Please contact our support department for information about the latest WasteWORKS updates. You can also check our Facebook page for the latest information on our products and services! New! Find us on Facebook!